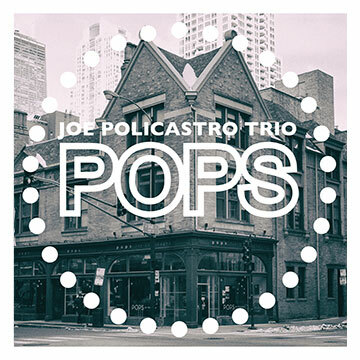 0 results found for "joe policastro"
“Pops”, by the Joe Policastro Trio, is not only a new CD, but also represents a possible new movement in jazz. Musicians having been playing tunes from the well known ‘Fake Book’ for many decades, and for good reason too, the book’s combination of classic show tunes and bop originals provides interesting chord changes for musicians looking for a challenge, while providing at least vaguely familiar tunes for club patrons. Still, the idea of ‘new standards’ from the modern era is not particularly new. Songs by the Beatles, Stevie Wonder, Joni Mitchell and others have been working their way into the jazz repertoire for a while now, and sometimes even songs by more current artists, such as Radiohead, but an entire set of tunes from the 60s to the present is still rare. A quick glance at some of the tracks on “Pops”, featuring artists like The Bee Gees, Pink Floyd and The Cars, might make you think that Joe and his group are being sarcastic or ironically kitsch, but actually they play everything with conviction and sincerity as they try to bring out new qualities in this collection of well known pop and rock songs. Bassist Joe, and his drummer Mikel Avery, provide interesting rhythms throughout, drawing on rock, funk, soul and Brazilian grooves to keep things lively, but the real star of the show is guitarist Dave Miller, whose playing is a natural bridge between the forthrightness of rock, and the subtleties of jazz. Dave’s playing shows a strong influence from the early 80s post-punk funksters like Blood Ulmer and Jean Paul Barreli, topped with rootsy jazz-blues voicings ala Hendrix and Robben Ford. Miller has a very deliberate behind-the-beat phrasing that recalls Monk, as well as the aforementioned Ulmer, and his solos are mesmerizing with plenty of off kilter surprises. Also surprising is that fact that Dave is replaced on two tracks by guitarist Andy Brown, and on two others by Andy Pratt. Of the three guitarists, Brown is probably the most technically nimble, and his post bop solos that recall George Benson and Jim Hall provide a good challenge to Miller, while Pratt seems to be coming more from a melodic Hank Marvin inspired roots rock approach. As mentioned earlier, this CD could represent a new movement, something along the lines of dinner music for the post-punk generation, and the fact is, “Pops” was recorded while Joe and his crew were playing one of their three-nights-a-week gigs at Chicago nightclub, Pops for Champagne. No JOE POLICASTRO POPS! reviews posted by members yet. No JOE POLICASTRO ratings only posted yet.